Soul Food for Hungry Adult Communities: First Sunday of Lent, February 17, 2013. Year of St. Luke. See HomePage for Mass Readings for this Sunday. The Gospel is St. Luke, Chapter 4, verses 1-13. The Temptations of Jesus. The first thing we notice, in the first sentence of the Gospel Reading is the Holy Spirit in Jesus, after his baptism: ‘Filled with the Holy Spirit, Jesus… was led by the Spirit through the wilderness.’ He was filled with the Spirit, and he was led by the Spirit. 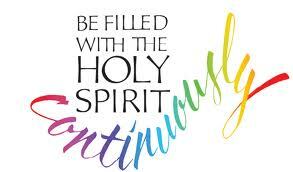 A great way for any Christian Community to go,- to be filled and to be led by the Holy Spirit, during Lent. We could have been a great help to Jesus, after his Baptism by John. Jesus had to go aside, to go to a deserted place, alone, to listen to his own heart. How was he going to proceed? He was the ‘Messiah’, yes, the Anointed One of God (in Greek, the ‘Christos’), – but what way would he choose to go? What was the right way? That’s where we could have helped him. First we could suggest ‘Working Wonders’: that would wow the people. Ok, he doesn’t go for that one. Let’s try great Wealth, and Power over people,- maybe that would work? No? Ok. Lets try one more: Show off lots of religious Power,- jump from the top of the Temple and show them how your God will take care of you and not let you get hurt. He doesn’t go for that either. Well, we’ve tried! We tried to tempt him with Wonders, with Wealth, with Showing Off religious stuff. He has his mind made up. He’s not going the Triumph way. He knows what he must do, but he’s not telling us. Not for now, anyway. We’ll try again some other time,- ‘at an opportune moment’. Fast forward three years of ministry,- or the six weeks of Lent, up to Holy Week. He’s in the Garden of Gethsemane now. We have him on his knees! (This is ‘the opportune moment’) The sweat is pouring out of him like blood. He begs his Father to deliver him, but then he adds ‘Not my will but Yours be done!’ He gets up off his knees: his mind is made up. And they come and take him away like a criminal. Hours later, scourged and crowned, he hangs by nails from a wooden cross. At the end, he cries out with all his heart and soul ‘Father, into your hands I commend my spirit !’ – and breathes his last. The Spirit that ‘filled him’ at the start, now ‘led him’ to this very moment. That’s the Way he had chosen to go, those three years earlier, in the desert. And now? No ‘Wonders’ here,- but yet, a great Wonder indeed: the Son of God, on a criminal’s cross. No ‘Power’ here but only helplessness: and yet the Power of what Jesus is doing on the cross changes the whole world, for ever. No ‘Wealth’ here, but yet his chosen path has given us all a Wealth beyond words,- a Wealth of Love, a Wealth of Forgiveness. No ‘Showing Off’ here, but yet he said ‘And I, when I am raised up, will draw ALL people to myself’. Looking back, isn’t it good that he didn’t listen to us when we made our suggestions in the desert at the start. Isn’t it good that he was ‘filled by the Holy Spirit, and led by the Holy Spirit’, in his choices. He chose a different way. Thank God! Now, it’s our turn, in LENT 2013, in our own faith community of 2 or 22 or whatever: to go back to our own baptism, to remember that we too are ‘filled with the Holy Spirit’, and maybe during Lent we will allow ourselves to face all our temptations, and eventually to be ‘led by the Holy Spirit’, personally and in our community. Can we choose to follow the Way of Jesus, completely? It’s the Way of the Cross, -that leads to Life! ← Lent – a Feast of a Fast !